Scientists have successfully reversed the aging process in human cells using a compound that occurs naturally in red wine and dark chocolate. Get ready to pop the cork on your favourite pinot noir – this could be the best news you read all week. Eating dark chocolate and drinking red wine could hold the secret to reversing wrinkles. 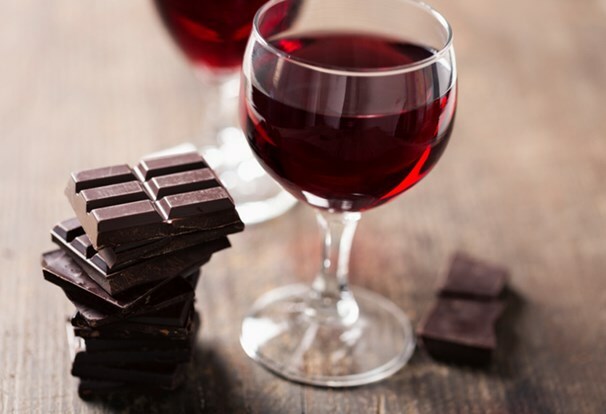 A study carried out by scientists at the Universities of Exeter and Brighton has found that old human cells can be rejuvenated by a compound found in red wine and dark chocolate called resveratrol. As cells age they begin to lose their telomeres, the element of a cell responsible for protecting our DNA. They’re sometimes likened to the plastic tips on the ends of your shoelaces. As we age our telomeres get shorter, and eventually cause the cell to stop dividing, which is believed to what causes the aging process. Professor Lorna Harries, Dr. Eva Latorre, and their colleagues discovered that if you added ‘resveralogues’ – chemicals similar to resveratrol – to the older human cell, the cell suddenly begins acting like a young cell again. The team had effectively reversed the effects of aging on their cells. "When I saw some of the cells in the culture dish rejuvenating I couldn't believe it," Dr Latorre said. "These old cells were looking like young cells. It was like magic." While there's a lot more research to be done before this discovery conquers crows’ feet, we'll happily volunteer as test subjects.